Two different excised versions exist of the Johnson review. 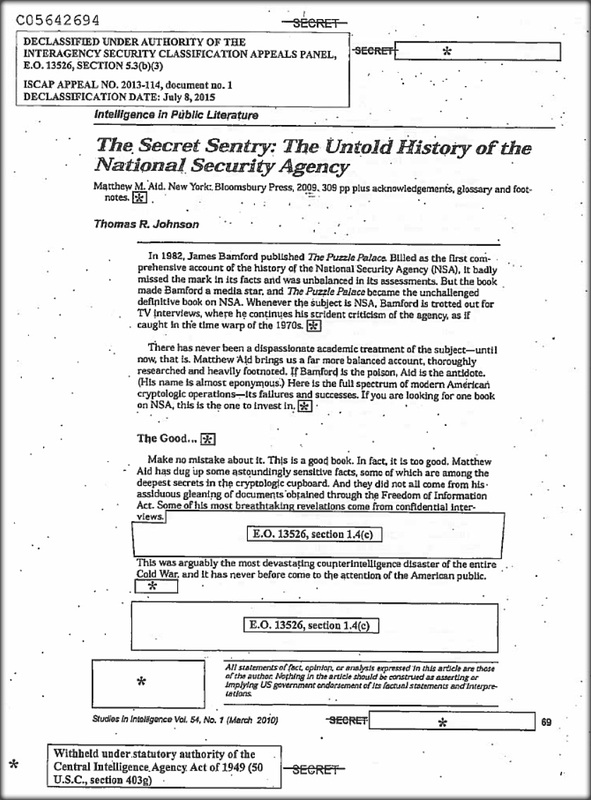 In response to a mandatory declassification review request by Archive FOIA coordinator Nate Jones, the CIA released an excised version that Jones appealed to the Interagency Security Classification Appeals Panel (ISCAP). 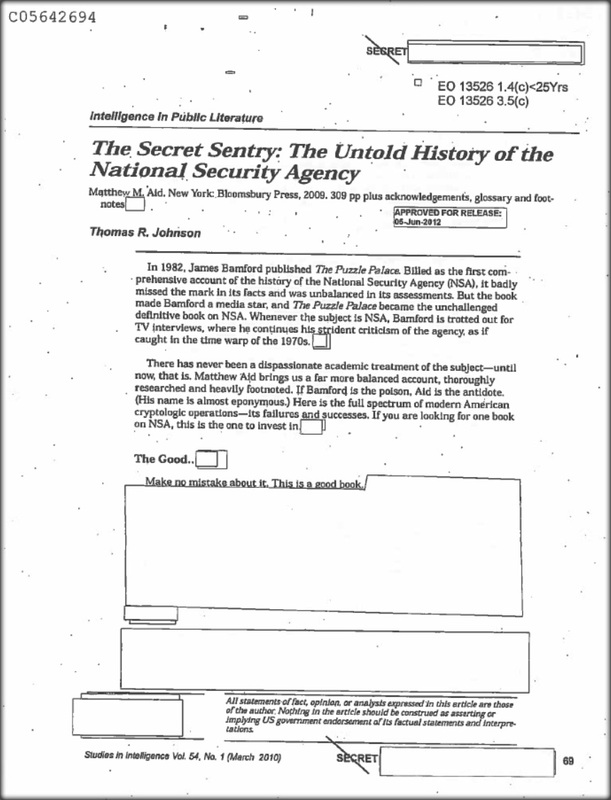 In 2015, ISCAP declassified more information, including a reference on the first page to Matthew’s account of the “most devastating counterintelligence disaster of the entire Cold War.” ISCAP affirmed CIA’s excision of what exactly that disaster was, but it is likely a reference to the “massive damage” caused by former NSA official Ronald Pelton. According to Aid’s account, in 1980, after being forced to resign from the Agency, the bankrupt Pelton sold to the Russians, for $35,000, what one official called the “Holiest of Holies”: the “seven most highly classified compartmentalized intelligence operations,” including “the ability of NSA’s Vortex SIGINT satellites to intercept sensitive communications deep inside the USSR that were being carried by microwave radio-relay systems.” in Moscow.” In addition, the Soviets learned about “about virtually every Russian cipher machine that NSA’s cryptanalysts in A Group had managed to crack in the late 1970s,” which explained why the NSA suddenly could not get access to Soviet and Polish communications systems during the 1980-1981 Polish crisis. Washington, D.C., September 10, 2018 – Staffers at the National Security Archive were saddened by the news of Matthew Aid’s untimely passing on August 20, 2018. We had the good fortune to work with Matthew and benefit from his decades-long efforts to uncover the secretive world of U.S. signals intelligence (SIGINT) collection. 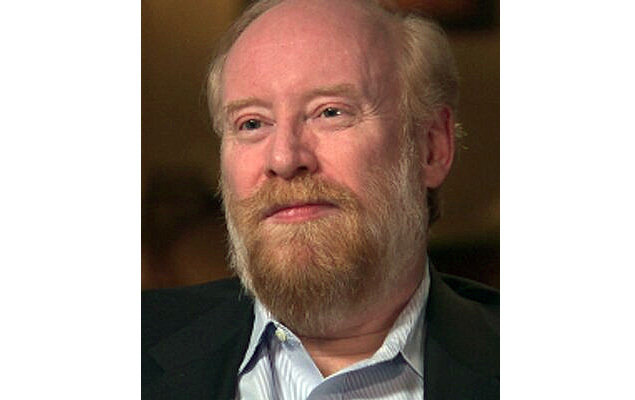 As an independent historian, his research, including wide-ranging FOIA requests and archival sleuthing, and in-depth interviews resulted in two important books, The Secret Sentry: The Untold History of the National Security Agency and Intel Wars: The Secret History of the Fight Against Terror, published by Bloomsbury Press. His publications and other contributions brought him well-deserved recognition as an accomplished historian of intelligence and national security policy. Years later, in 2005, Matthew made his first contribution to the Archive when he was researching his book on the National Security Agency’s (NSA) history. Matthew had developed extensive contacts with agency staffers, who told him about a history of the Gulf of Tonkin incident that higher level officials had refused to declassify. According to the study by Robert J. Hanyok, erroneous translations of intercepted North Vietnamese messages had been covered up and distorted by higher-level officials so that the intelligence could be used to confirm that a second attack on a U.S. ship in the Gulf in August 1964. After Matthew learned that the study had been bottled up, he informed New York Times journalist Scott Shane who wrote about the cover up in a major story. The NSA soon declassified Hanyok’s study, which the National Security Archive published, giving Matthew full credit for his important discovery. The next year Matthew made an outstanding contribution to transparency and open government by revealing the U.S. National Archive’s program of re-classification of records that had been in the open, declassified stacks. As it turned out, officials at the National Archives had made secret agreements with the CIA and the Air Force giving them carte blanche to withdraw documents that they contended were still sensitive. Matthew’s discovery of large numbers of withdrawal notices for records that had been previously available produced a New York Times front page exposé in February 2006, a major posting by the National Security Archive, an audit by the government’s Information Security Oversight Office (ISOO), and termination of the secret program. Present and future historians of intelligence and national security issues owe Matthew a debt of gratitude for this discovery. Matthew’s contributions to the history of U.S. intelligence and to transparency in government ended too soon. We will miss the benefit of his wide-ranging knowledge on intelligence and nuclear weapons records at the National Archives. We are glad that we had him as a friend and colleague. Matthew did not dispute the episode though he later described it as less serious than it might have appeared – he had full clearances to view the classified documents but had inappropriately taken them home, and in the second instance had simply been “trying to impress” a young woman.